Here’s a cool Astatic 200S mod I made for a customer this month. I plug a little Vishay compact potentiometer in just behind the handle. It’s out of the way, and doesn’t interfere too much with the great shape and cupping area of the 200. 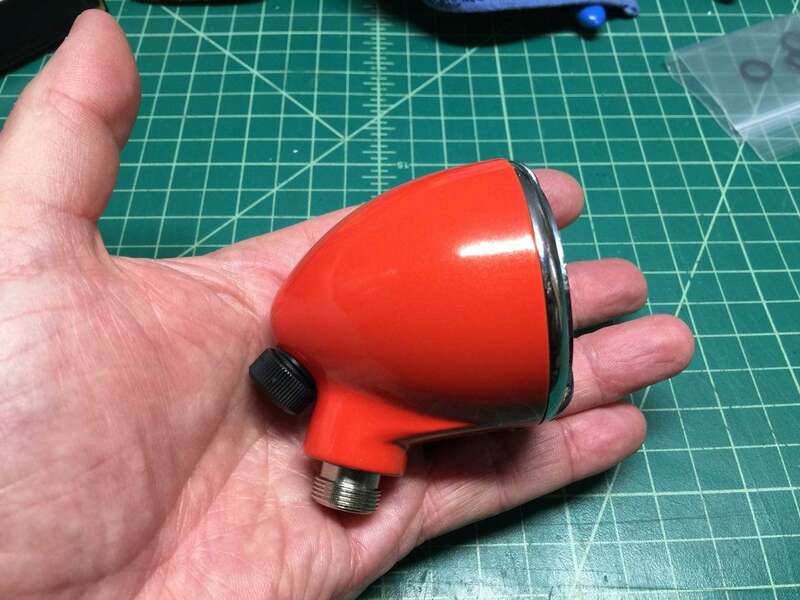 This fresh Harley Davidson Orange powder coated shell was a replacement for one that had seen better times cosmetically.